Between 2-5 PM SLT (23.00-02.00 Swedish time) we welcome all eminent lifeforms to an extraordinary aural treatment. On the menue we have a live and direct transmission from Stockholm, Sweden. Come join us at Club Monomat - in Heckroth 1 (145, 142, 2915) or tune into our stream with your media player of choice. Come in peace and c u soon all tasty music eaters! 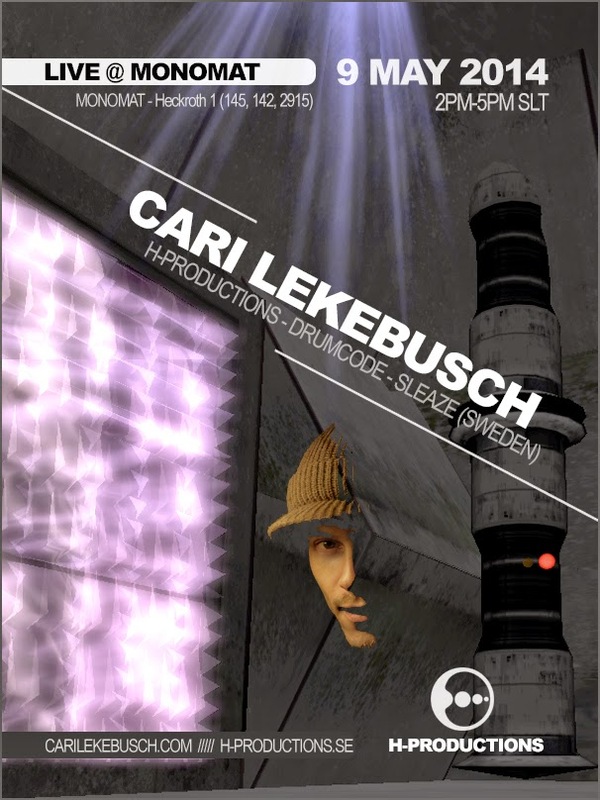 GSR12 - Cari Lekebusch - Bellshape - OUT NOW!